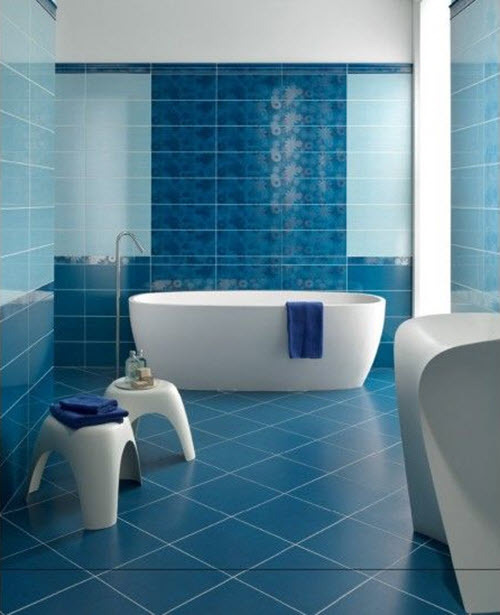 Wall tiles for bathroom come in many shapes, designs and colors. 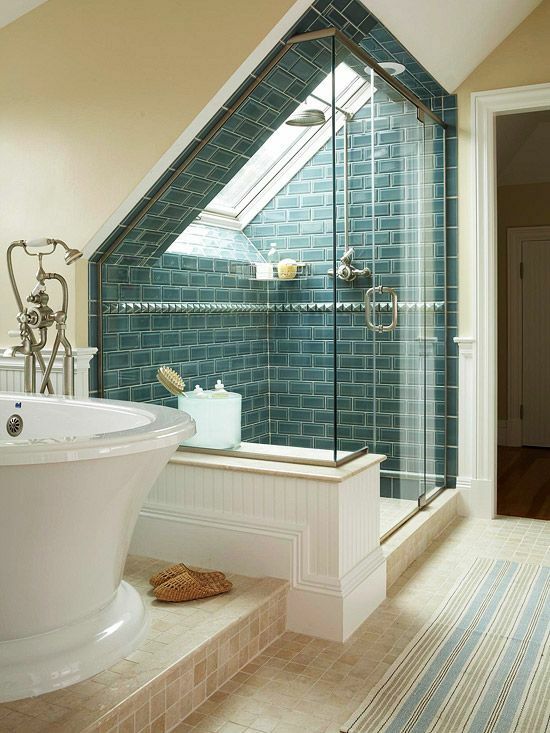 There are subway tiles, slates, arabesque tiles, mosaics and many others. 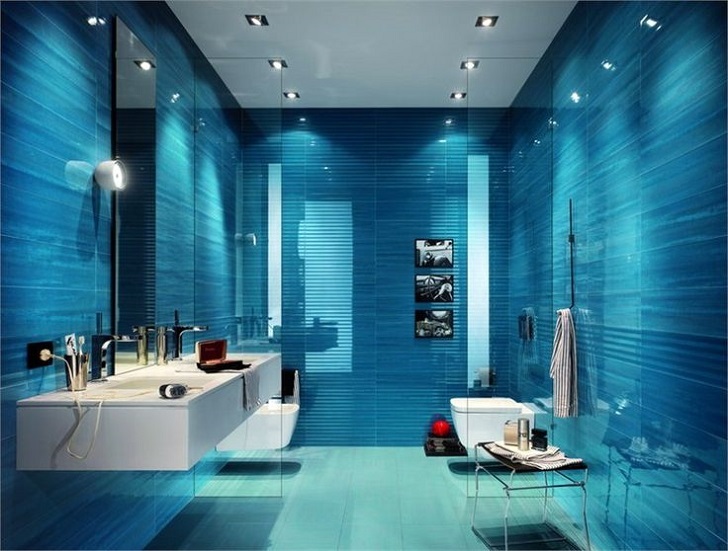 Each of them has its own advantages and can create a certain atmosphere in your bathroom if used at the right place. 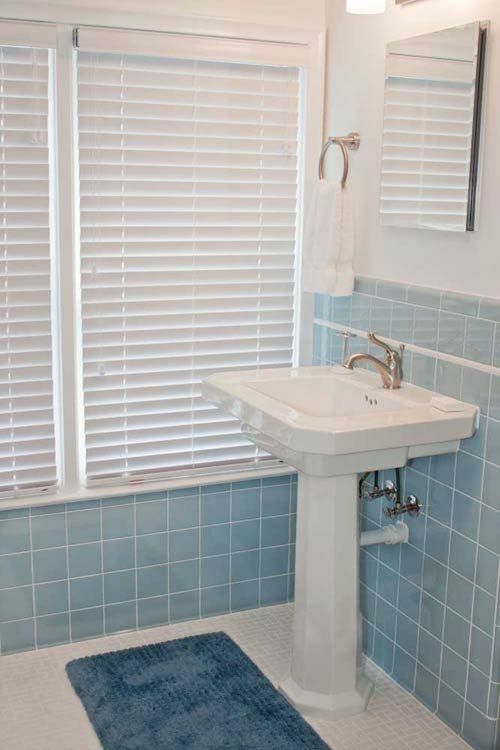 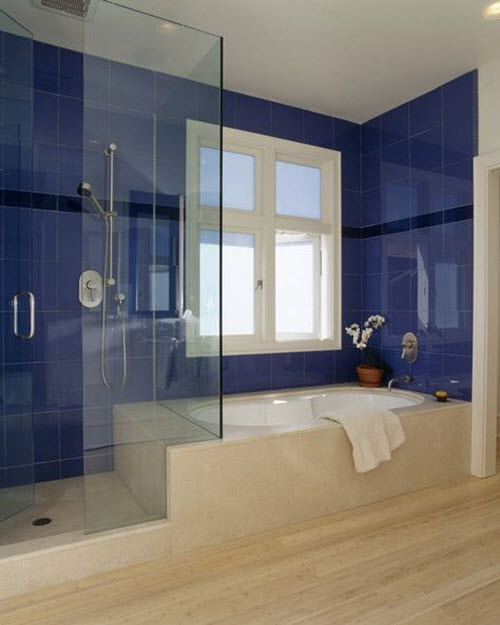 If you decided to use one of the most popular colors on the walls of your bathroom – blue, the color of water, – then you need to pick up the shade (or shades for combination) and design of the tile itself. 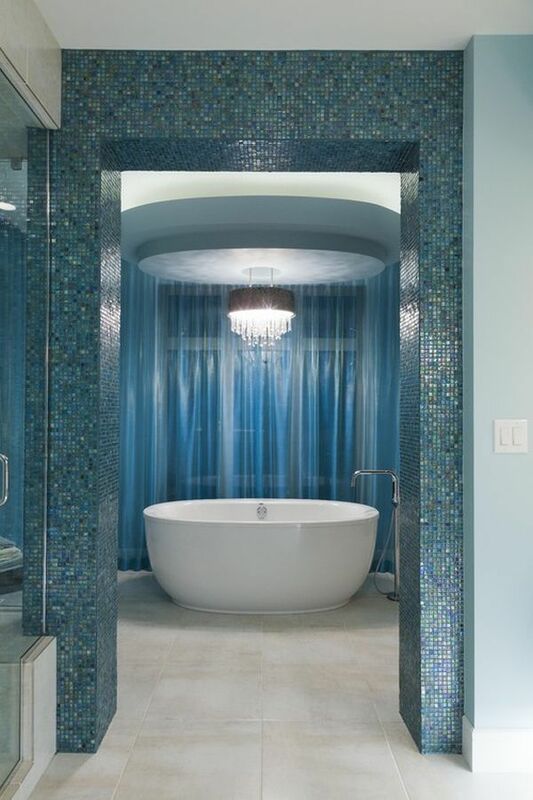 Different shades of blue can be perfectly combined to create unforgettable designs and even images (if we are speaking of mosaics). 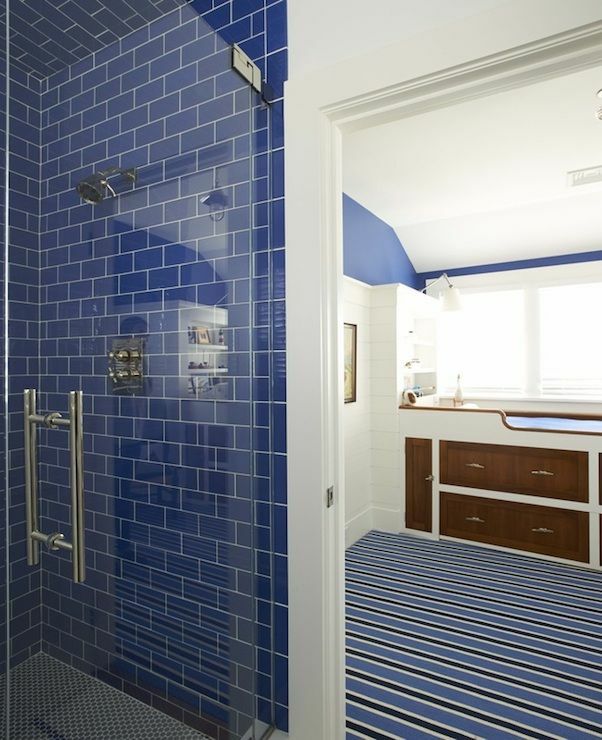 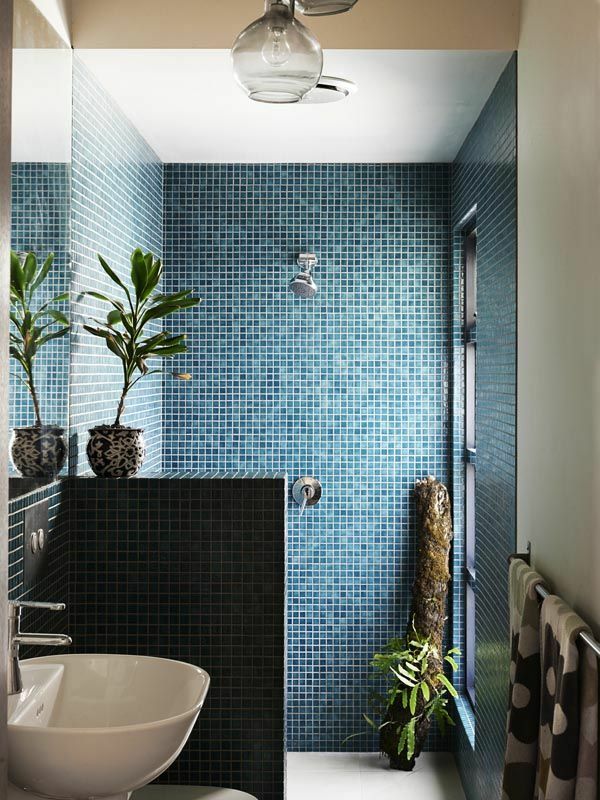 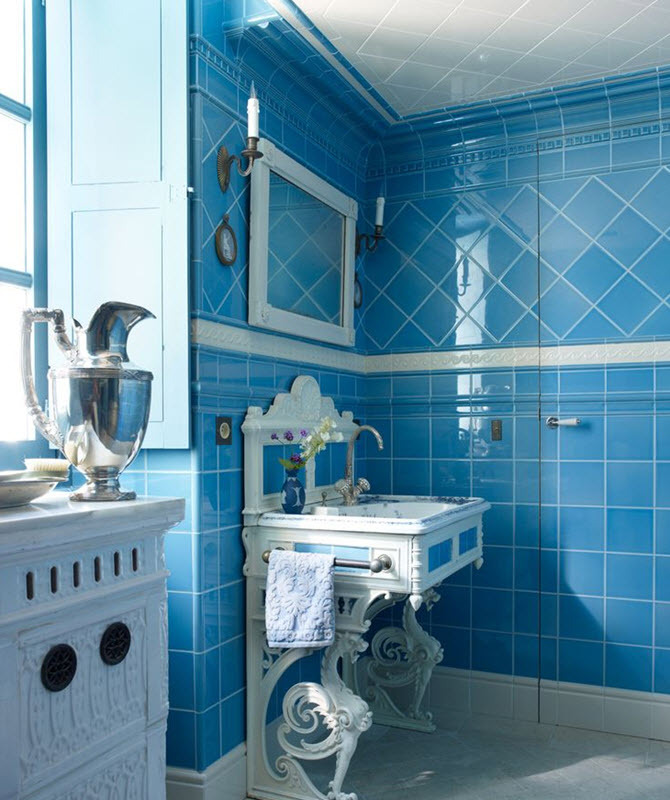 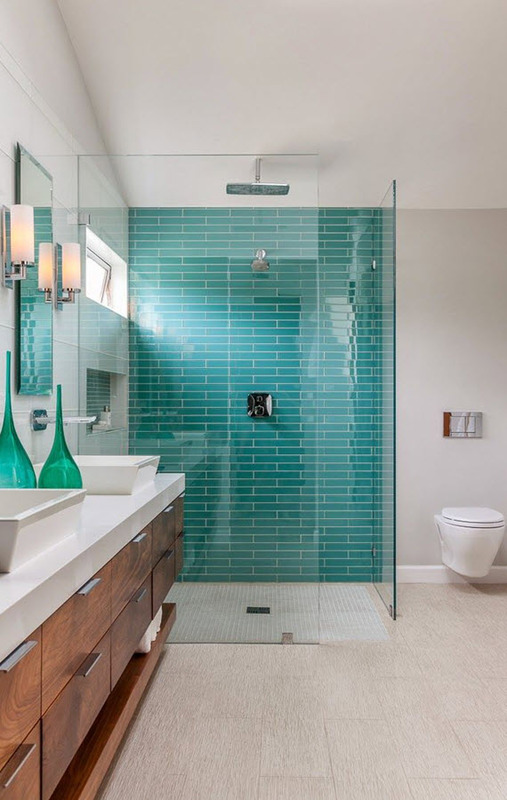 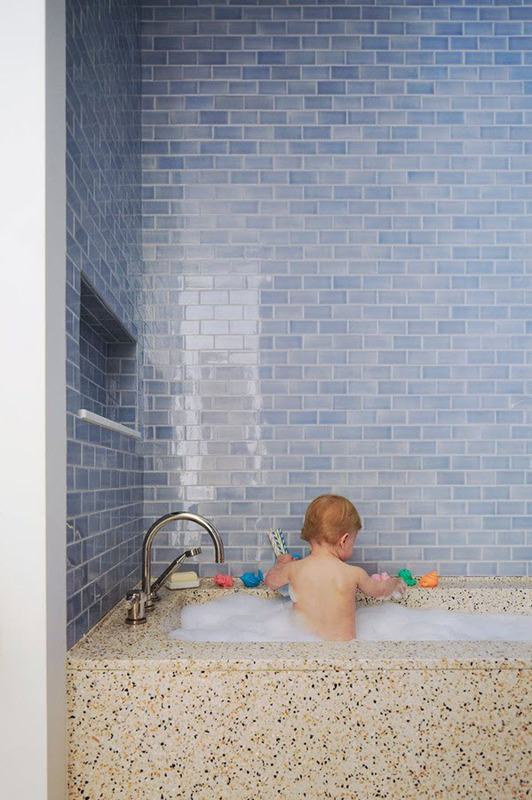 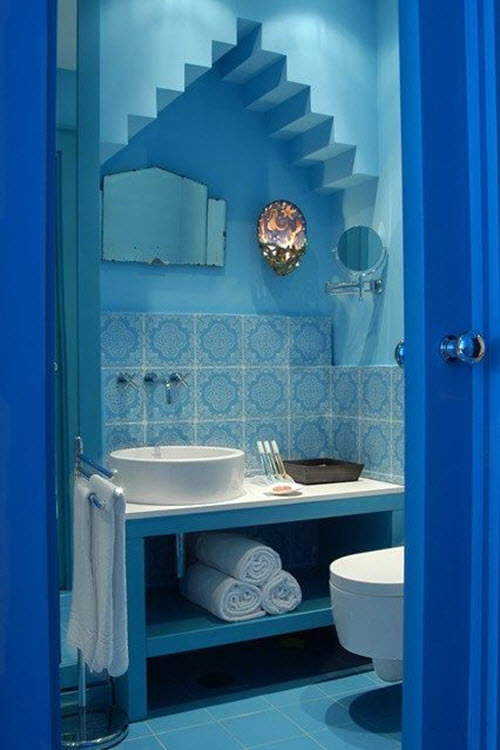 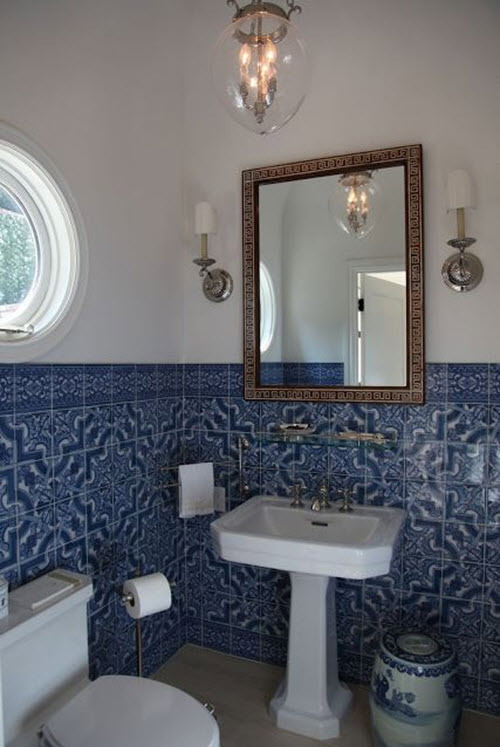 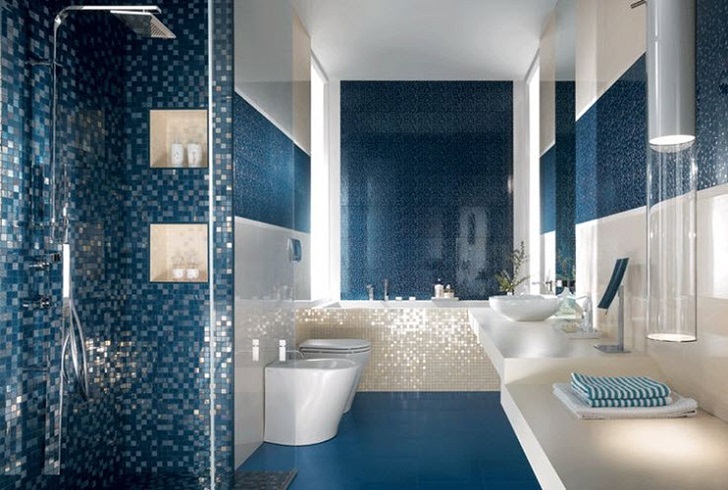 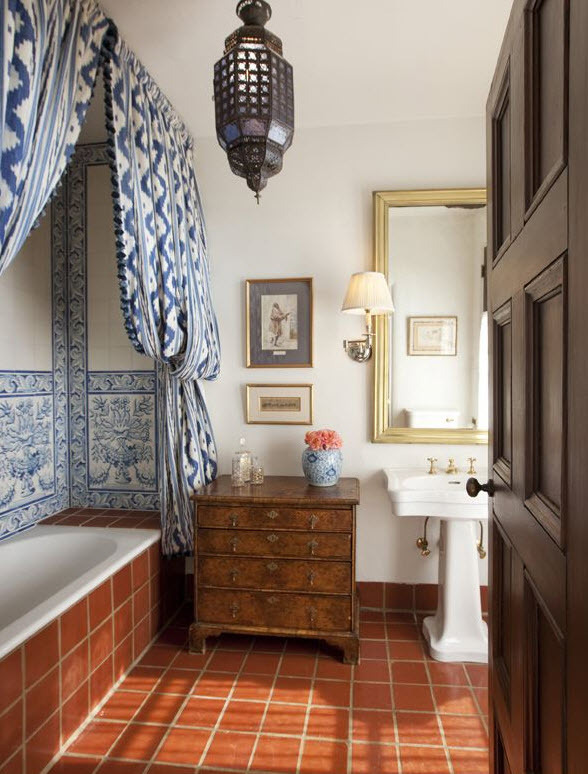 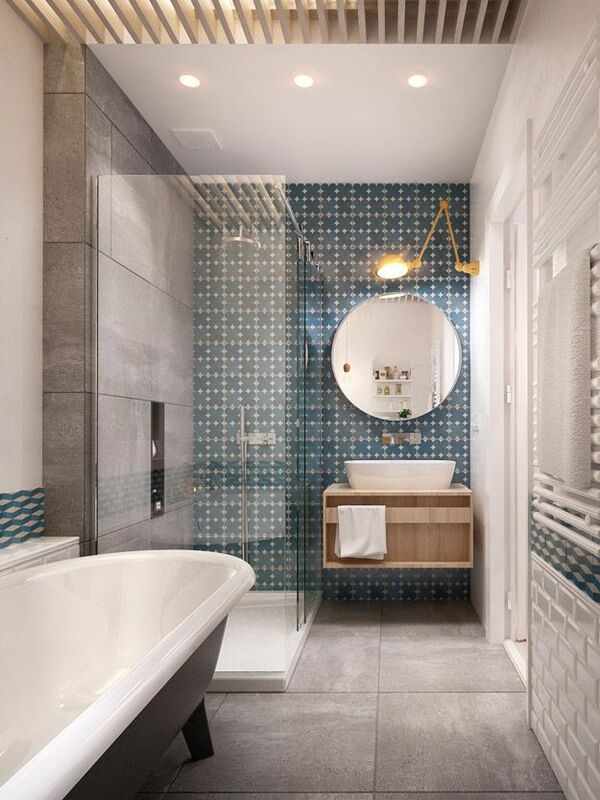 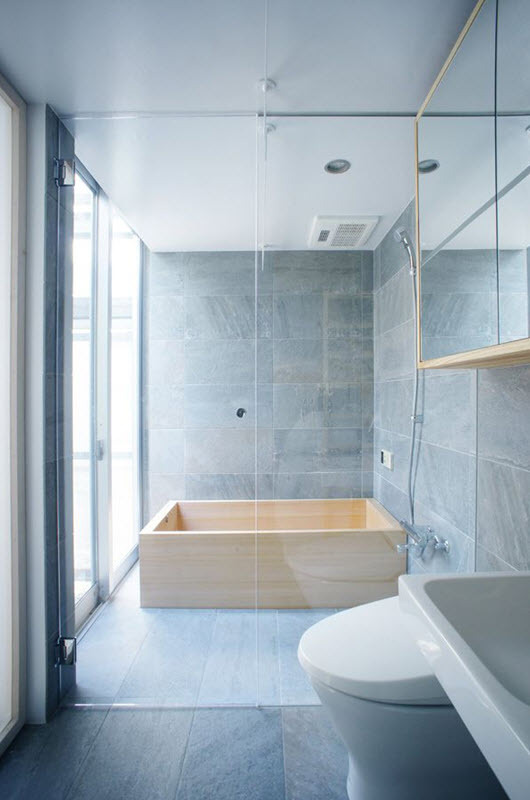 Some people prefer to use blue tile in the shower area, others like to have it on all four walls while someone else can decorate only one wall with it leaving all the rest white and, thus, creating a wonderful splash of blue color in the bathroom. 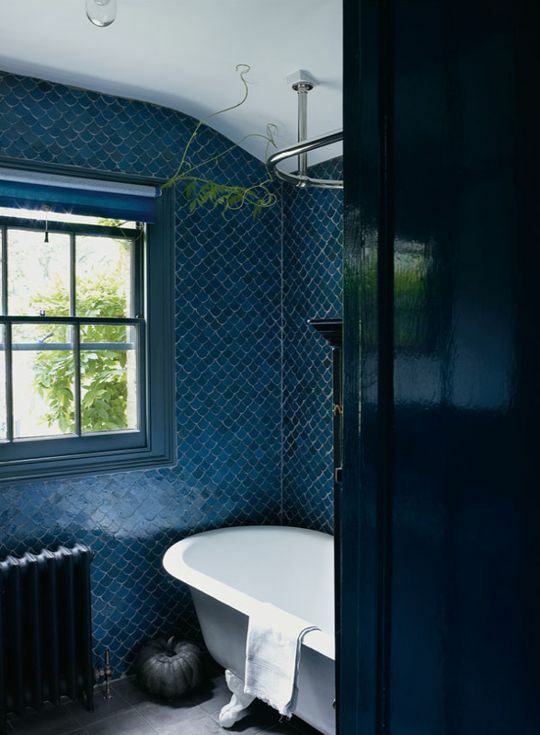 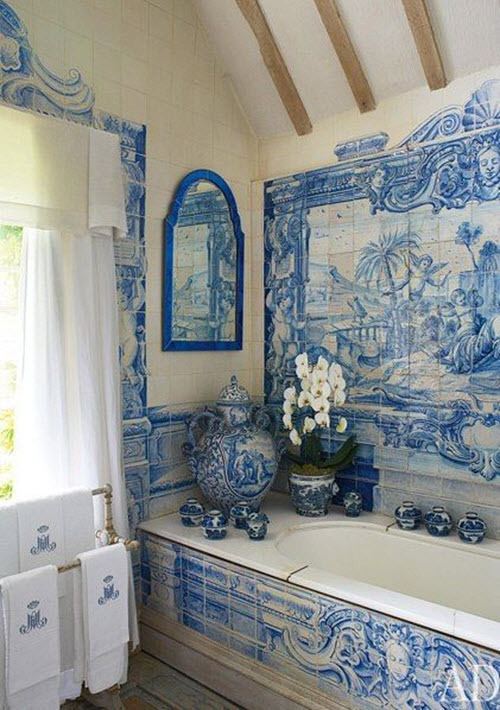 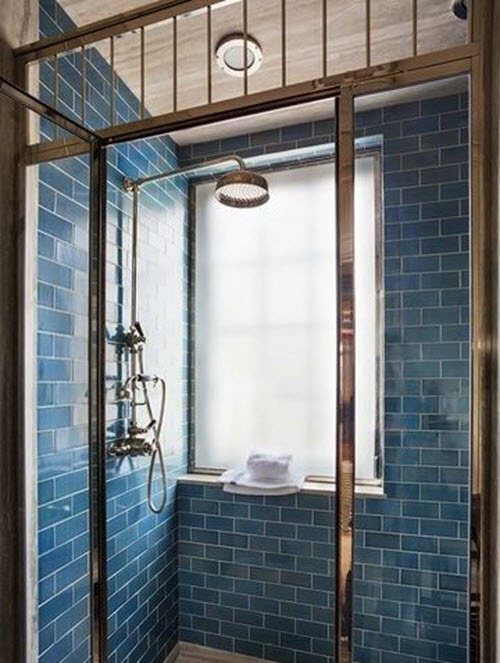 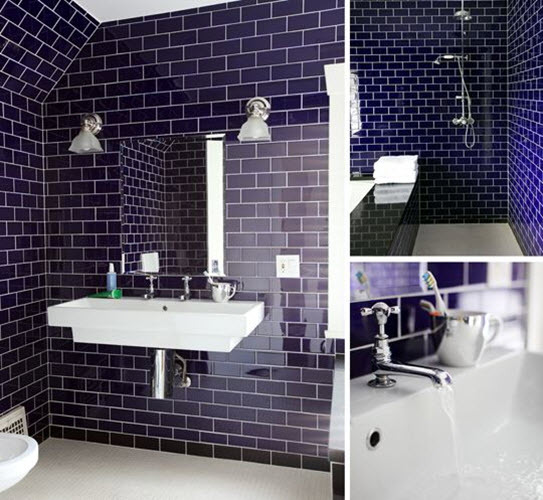 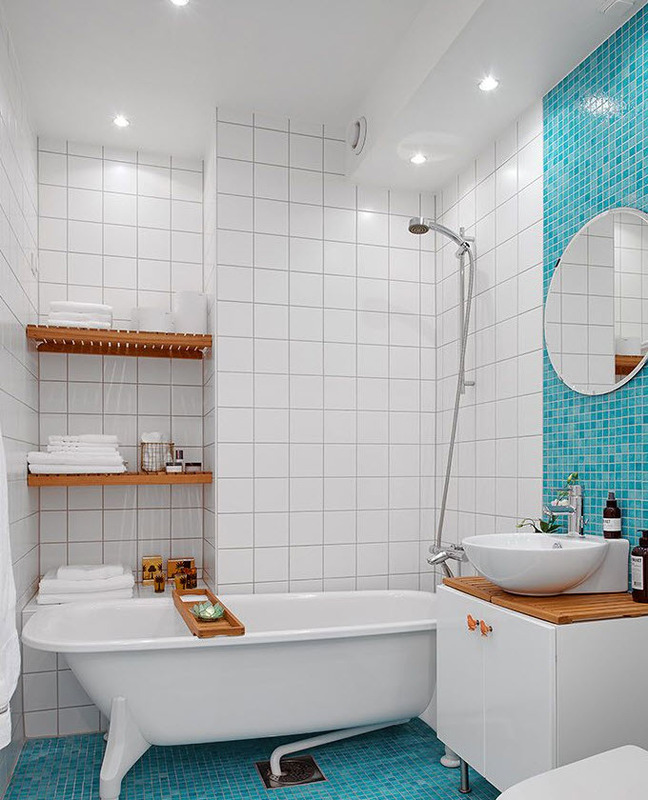 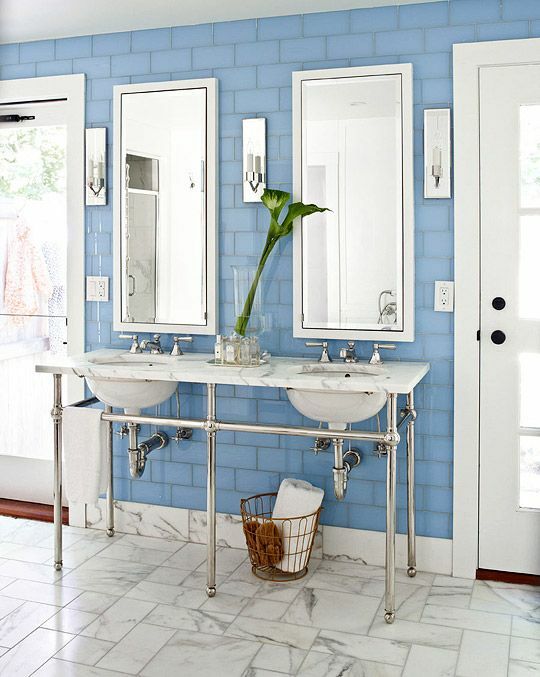 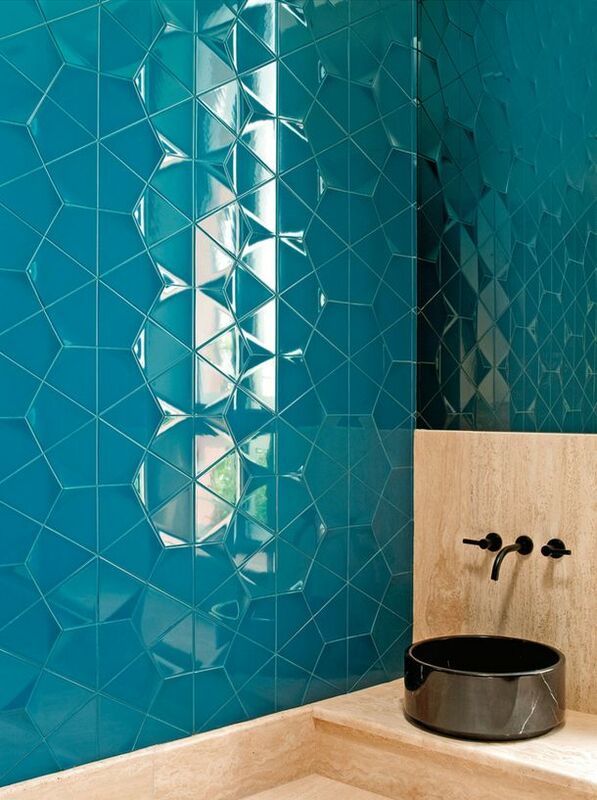 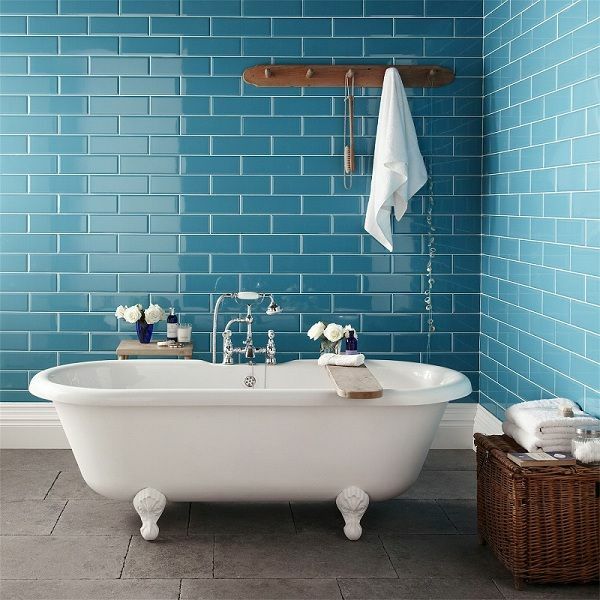 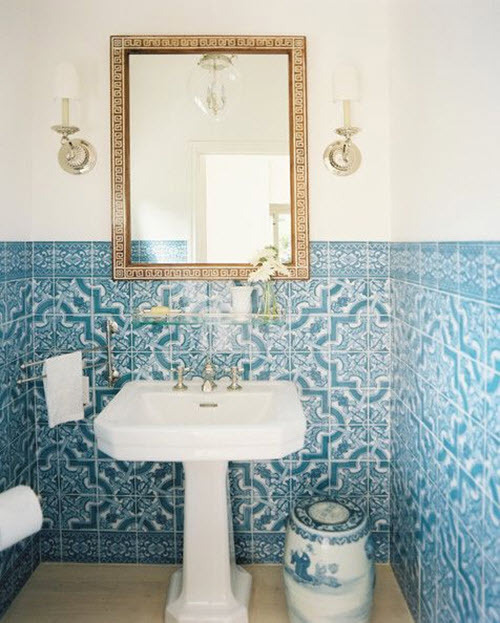 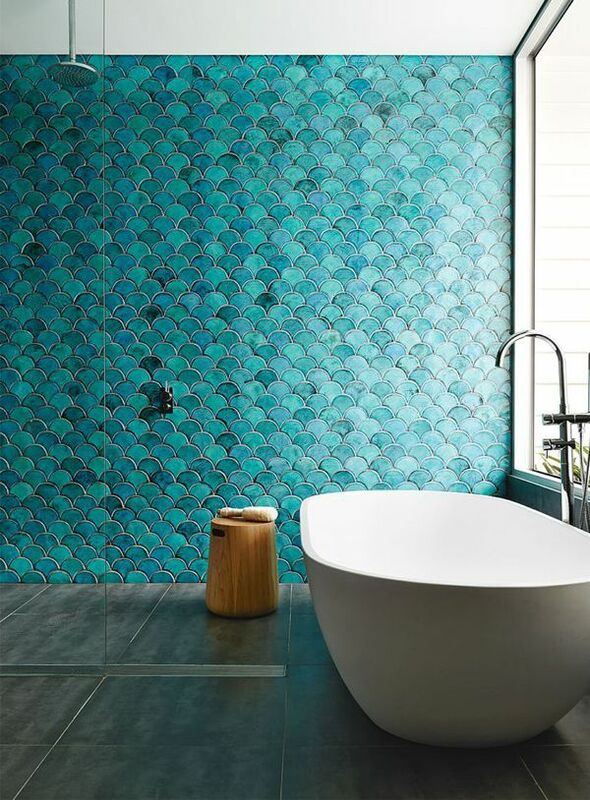 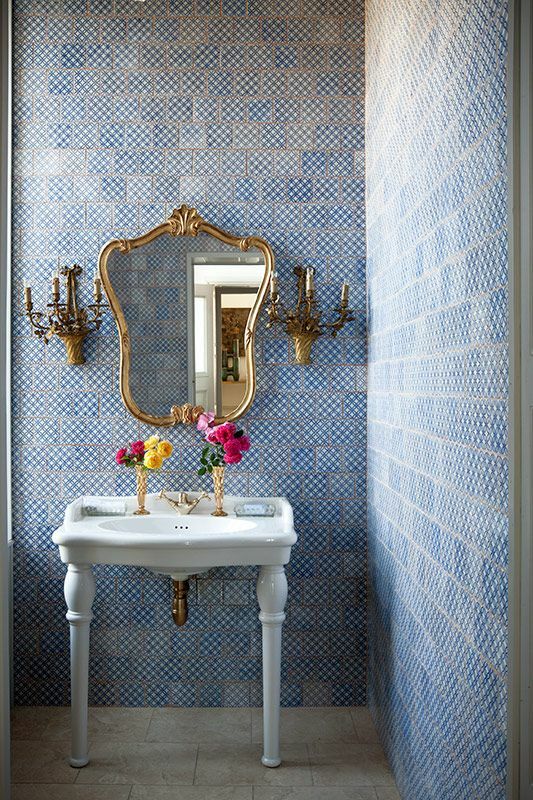 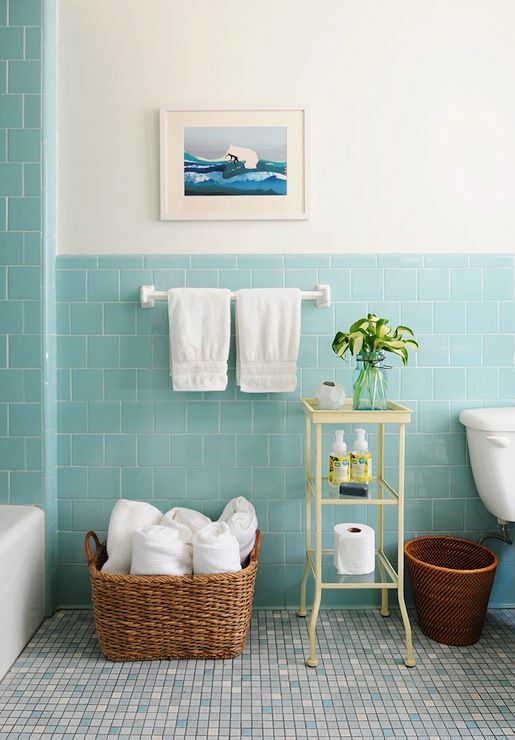 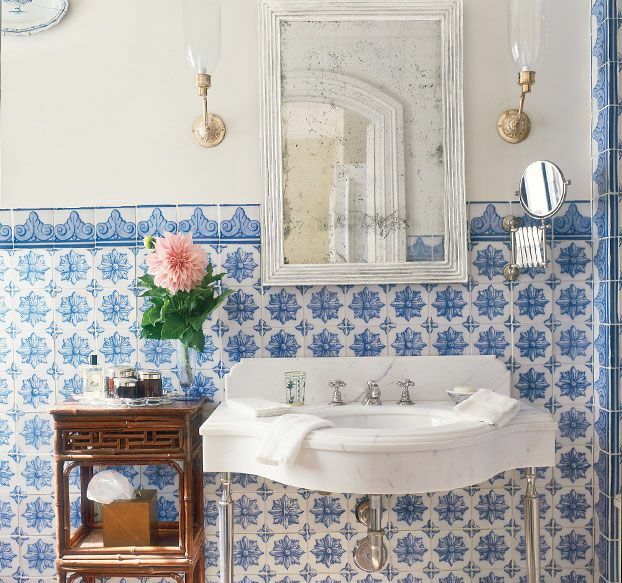 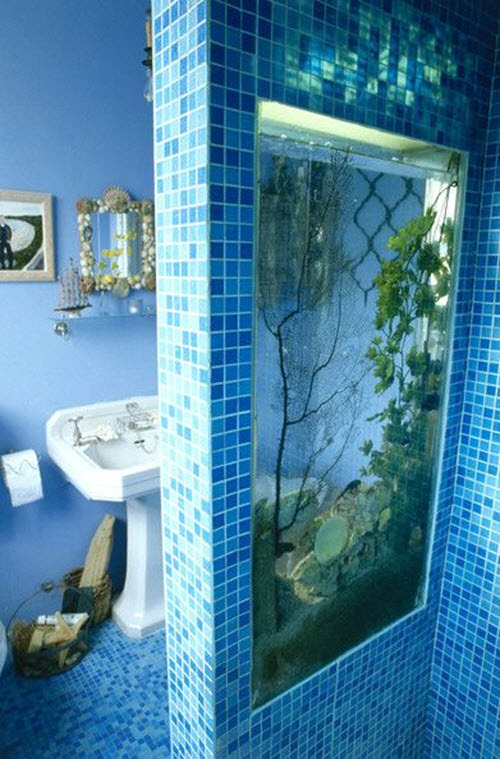 Anyway, you need some inspiration to start decorating walls in your bathroom with blue tiles. 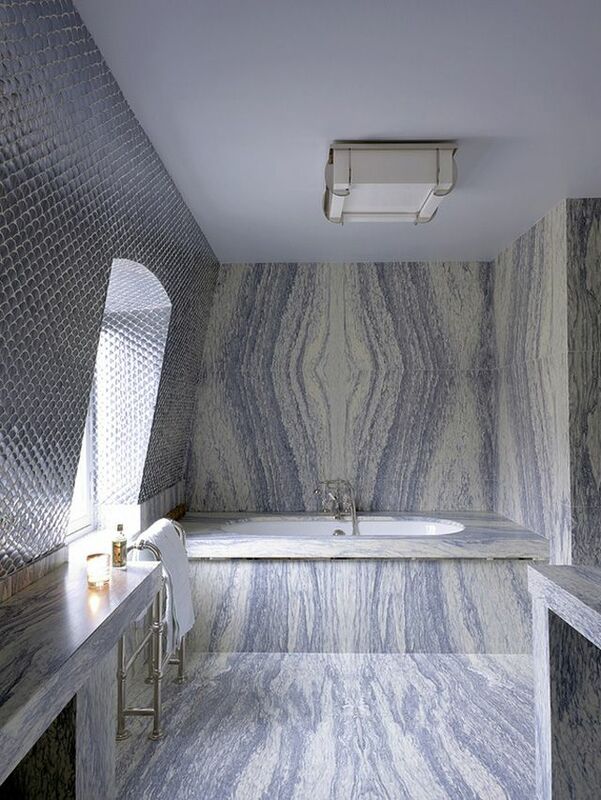 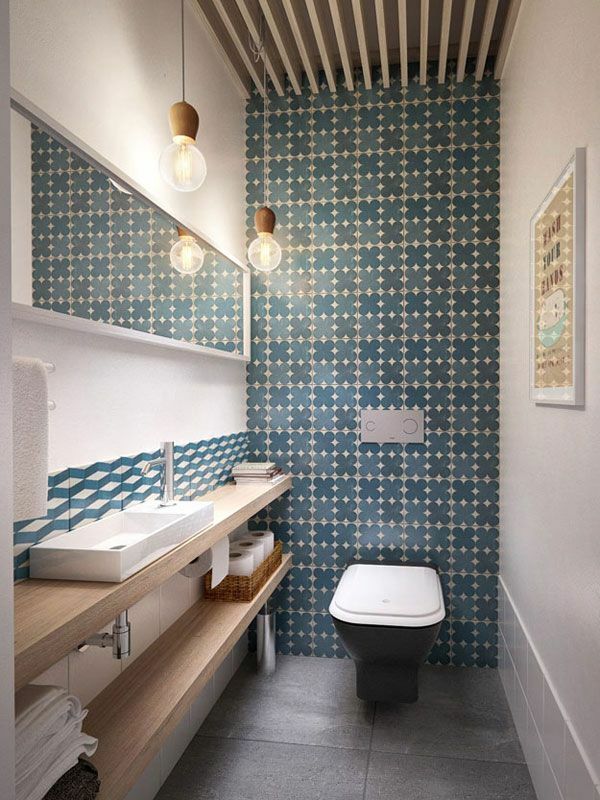 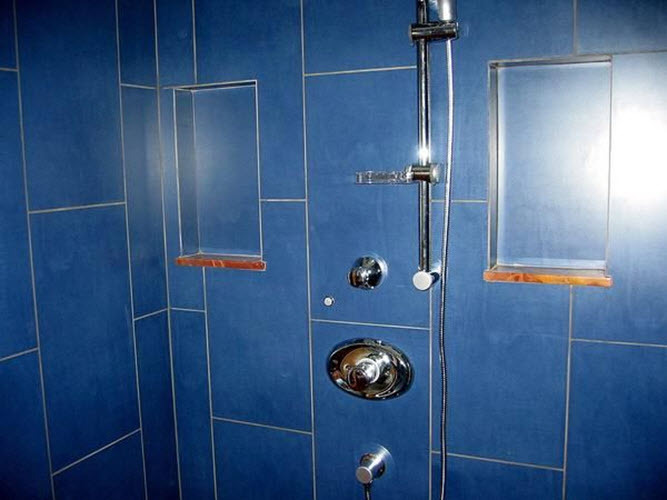 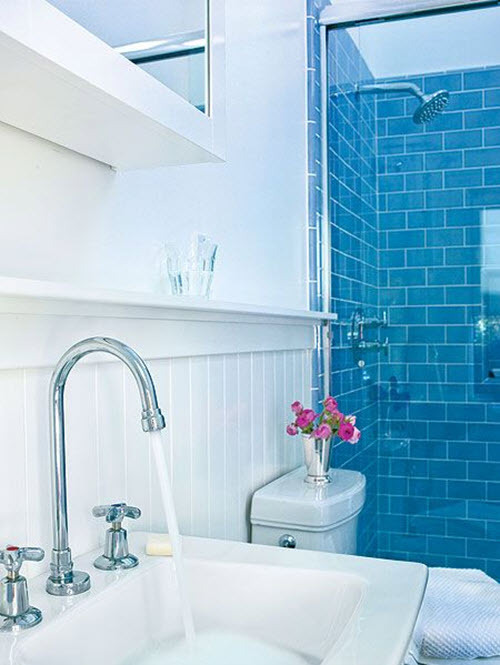 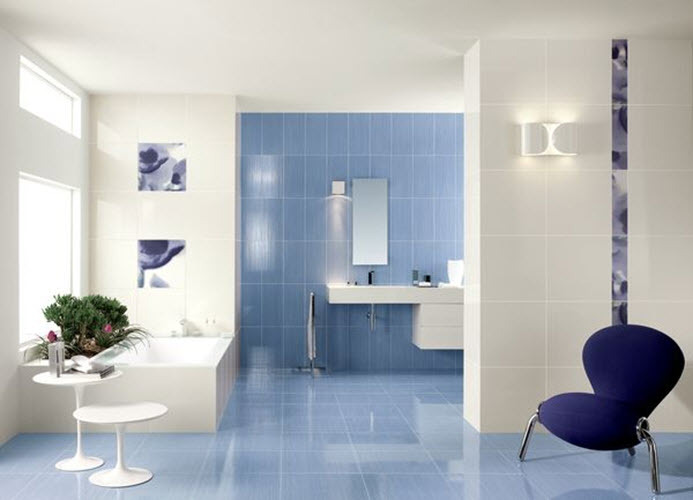 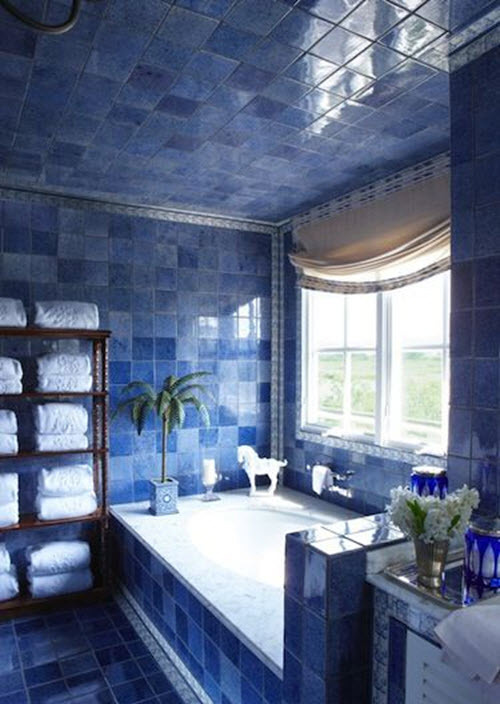 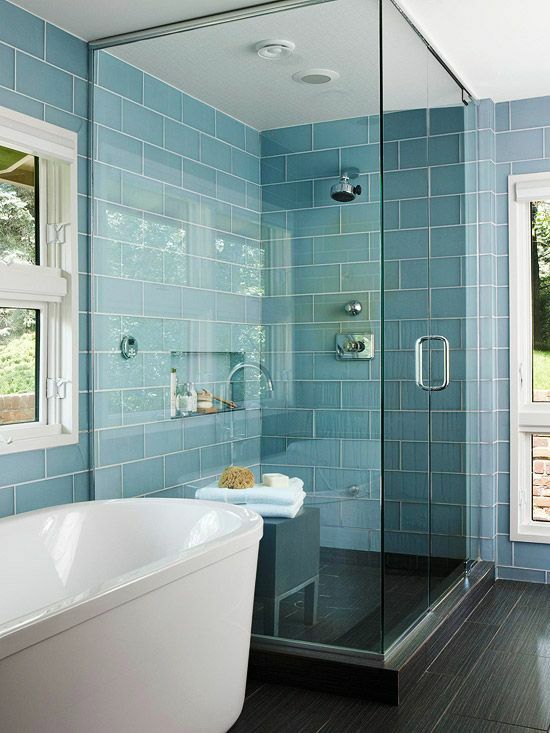 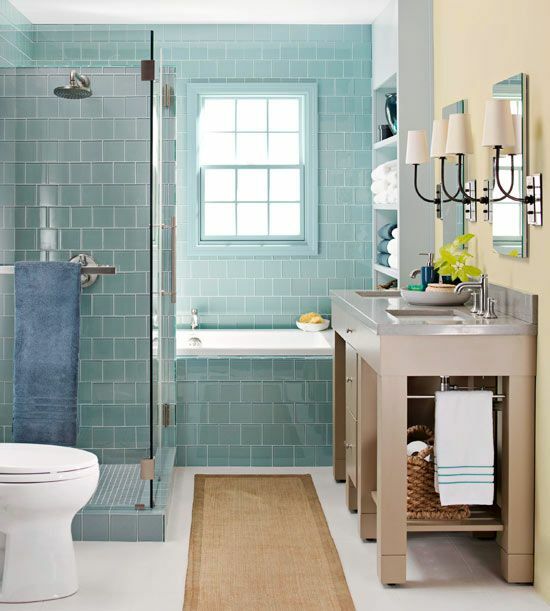 So why don’t you look through these blue bathroom wall tile ideas below to get motivated.